← So you want to chart an artificial reef? 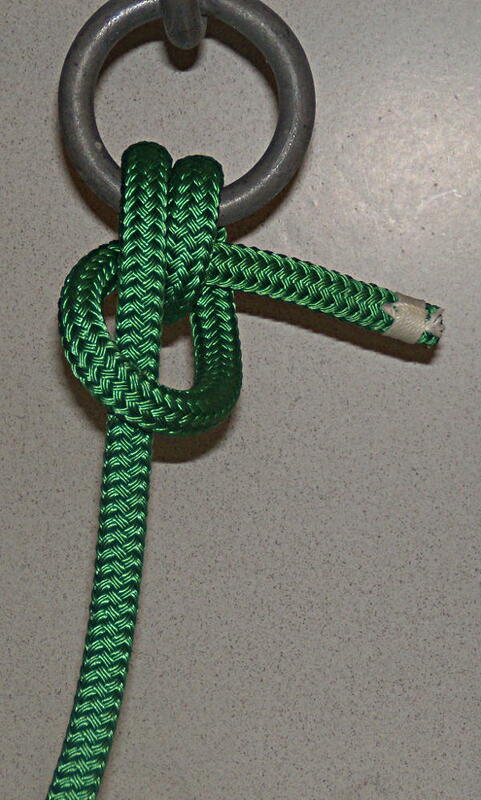 The Anchor Hitch is a great knot for conditions that alternate between loaded and unloaded such as an anchor rode or where the end of a line might be flapping around. The Anchor Hitch is a bit more difficult to tie and remember than the old standby the Round Turn and Two Half Hitches. However the Anchor Hitch is more secure. The end of the line passing under the Round Turn makes the knot very secure since the harder the knot is loaded the tighter the end is held. 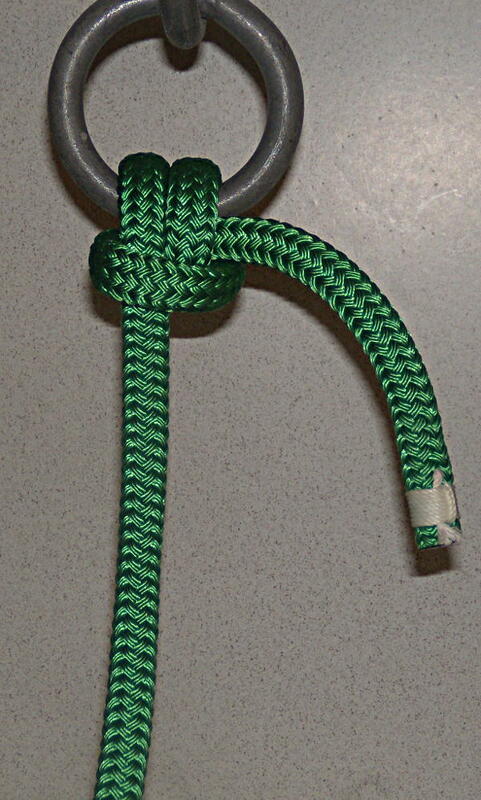 Some climbers are using the Anchor Hitch in place of the Buntline Hitch, they found they were not tying the Buntline Hitch correctly when in odd twisted positions. The Spar Hitch is another little known knot that is great for tying fenders to a boat. 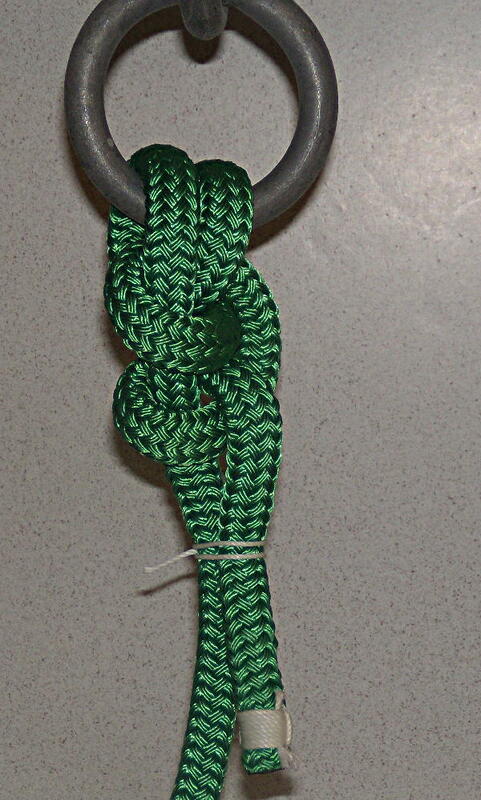 Anchor Hitch – Step 1 – Start by going around the object you are tying to. Anchor Hitch – Step 2 Continue around to make a Round Turn around the object. The Round Turn helps to lower the stress on the line and reduce any chafing. Anchor Hitch – Step 3 – Continue around with the end and make a Half Hitch but pass the end of the line under both parts of the Round Turn. Going under the turns locks the end of the line making the Anchor Hitch a very secure knot. 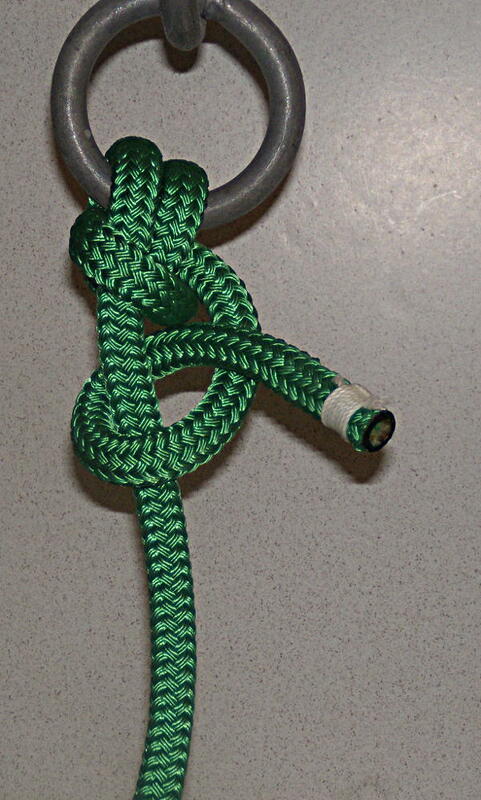 Anchor Hitch – Step 4 – with the knot pulled up snug. This is your basic Anchor Hitch. 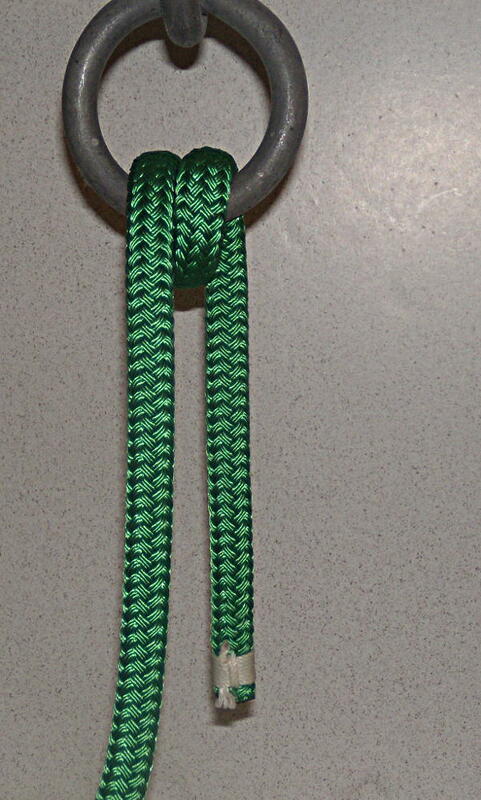 Anchor Hitch – Step 5 – Many books suggest tying a second half hitch to make the Anchor Hitch a bit more secure. Seizing the end of the line to the standing part of the line is also often suggested for more security. Anchor Hitch – Step 6 – Finished with a Half Hitch and the end seized down to the standing part of the line. This would be the preferred version when used in an anchor rode. 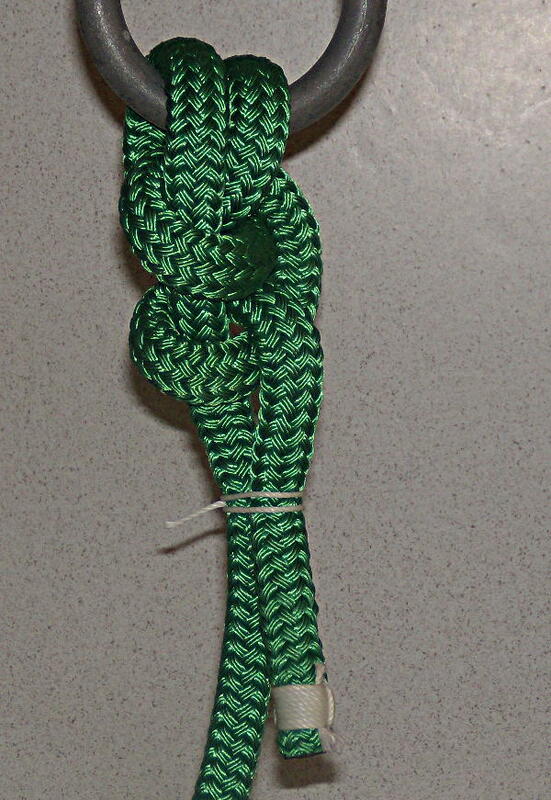 Use small stuff or waxed whipping twine to tie one or two Double Constrictor Knots to hold the end of line down. 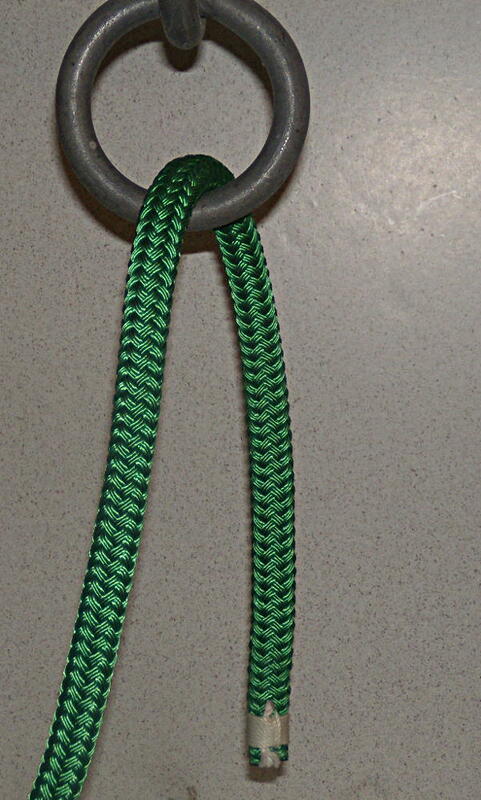 The overhand knot of the Double Constrictor knot should be placed directly on one of the pieces of the line to make the Double Constrictor more secure. This entry was posted in Boating Safety, Sailing and Boating Skills and tagged boating knots, boating skills, knots, marlinespike seamanship, marlinespike skills. Bookmark the permalink.